GREEN CAR OF THE YEAR 2014. Mike Accavitti, senior vice president of Automobile Operations at American Honda Motor Co., Inc., receives the award given at the Los Angeles Auto Show the last November 21th, 2013. 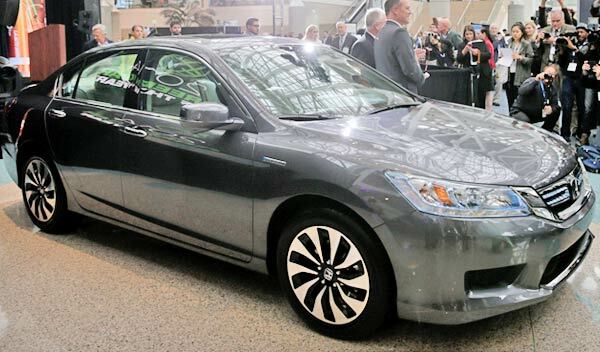 HONDA ACCORD HYBRID 2014. According to Ron Cogan, editor of the Green Car Journal, this Honda won in basically because of the high fuel economy ratings of the gasoline-battery hybrid and plug-in hybrid models, which reach up to 50 MPG. 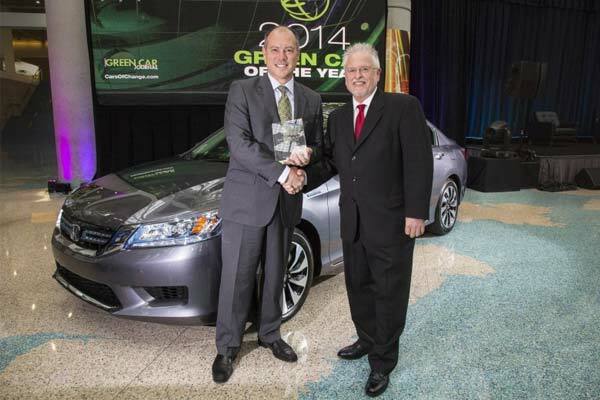 As part of Los Angeles Auto Show this year, the Japanese brand Honda, was awarded with the recognition of Green Car of the Year 2014 for its Accord 2014 model. The award was given to all versions of the Honda Accord with 4 cylinder and V6 engines, as well as the Accord Hybrid and the Accord Plug-In, which deliver a fuel efficiency of up to 50 mpg. After a selection of five finalists vehicles, a panel of judges formed by specialized journalists in the auto industry as well as recognized characters of institutions in support of the environment as Jean-Michel Cousteau, president of Ocean Futures Society, Kateri Callahan, president of Alliance to Save Energy, Matt Petersen, Global Green USA member, named the Japanese winner. ITS OPPONENTS. The other finalist that the Accord 2014 left behind were the Audi A6 TDI, the BMW 328d, the MazdaMazda3 and the Toyota Corolla. 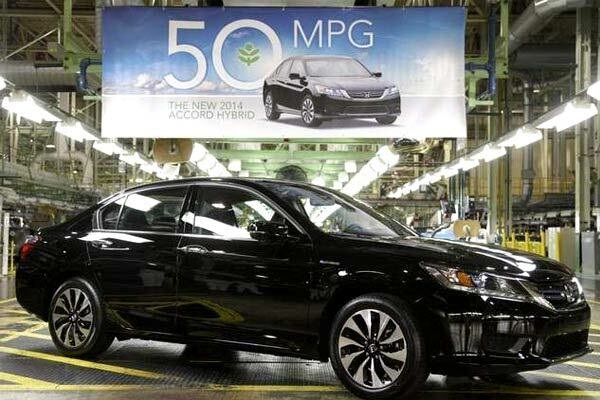 "Having our most popular model, the Accord, as the Green Car of the Year 2014 is a tribute to the long-term commitment of the company of offering advanced fuel-saving technologies in vehicles of greater demand," said Mike Accavitti, senior vice president of Automobile Operations for American Honda Motor Co., Inc.
"By offering efficient four-cylinder and V6 engines along with class-leading hybrid models like the Plug-in, the 2014 Accord family gives to the environment-conscious buyers more options than before." Last year, the prize winner was the Ford Fusion, meanwhile in 2012 was the Honda Civic of Natural Gas and in 2011 was the Chevrolet Volt. From all the finalists, the Accord is the best-selling car with 307,000 units only in North America, 11 percent more than previous year. The Accord is also the second best-selling car in America in its segment just behind the Toyota Camry.